"This hotel is nice a sort of haven in Havelock." 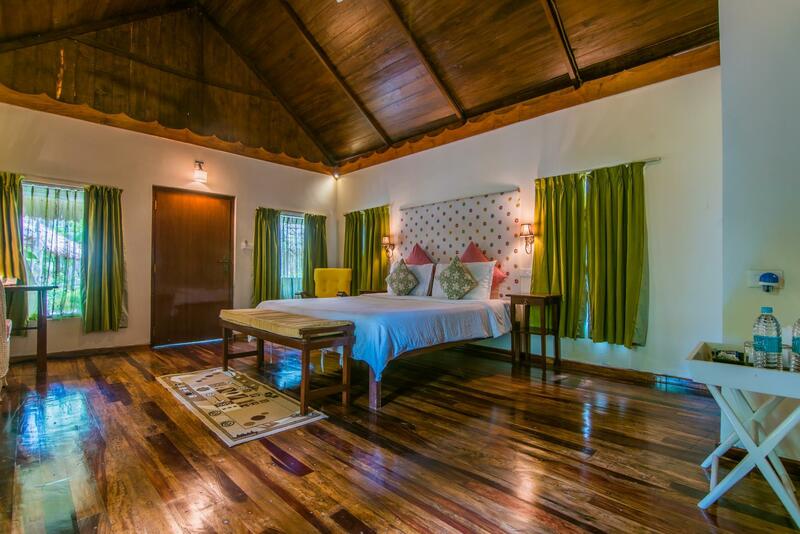 Have a question for Munjoh Ocean Resort - Havelock Island? "A very courteous staff/ employees"
"Delicious food ! the rooms are clean and comfortable and location next to the beach." "The staff are so helpful and give you a very warm welcome, where they do every thing to ensure your stay is very enjoyable." 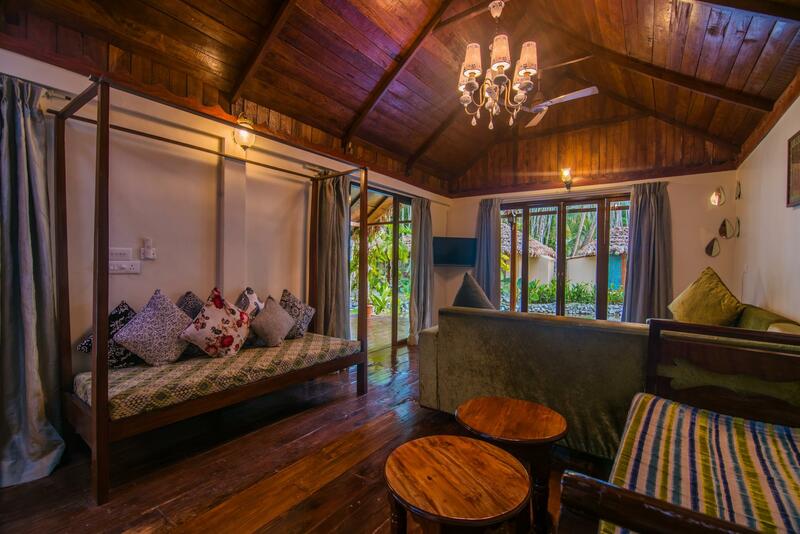 "Pros: the beach is really nice and peaceful during high tide..."
Renovated in 2016, the Munjoh Ocean Resort - Havelock Island guarantees guests a pleasant stay whether in Andaman and Nicobar Islands for business or pleasure. The hotel lies 1 km from the city center and provides accessibility to important town facilities. With its convenient location, the hotel offers easy access to the city's must-see destinations. At Munjoh Ocean Resort - Havelock Island, every effort is made to make guests feel comfortable. To do so, the hotel provides the best in services and amenities. For the comfort and convenience of guests, the hotel offers 24-hour room service, 24-hour security, chapel, shrine, daily housekeeping. Step into one of 36 inviting rooms and escape the stresses of the day with a wide range of amenities such as television LCD/plasma screen, additional bathroom, additional toilet, mirror, sofa which can be found in some rooms. The hotel offers wonderful recreational facilities such as boats, watersports equipment rentals, snorkeling, hot tub, private beach to make your stay truly unforgettable. Enjoy unparalleled services and a truly prestigious address at the Munjoh Ocean Resort - Havelock Island. This place was a lot more chilled out and relaxed than our first venue. From the concierge to the security guard everyone was splendid. Food best yet in India ! Breakfast was not prepared on time. We ordered dinner and had to wait for very long time. Staff was very slow. Internet was too slow. You get what is assured to you as per the hotel website. The reviews on various forums are quite deceiving as some people expect a lot more than what is offered. The level of detail given by Mr. Mohith regarding the things to do in havelock were very realistic and trust worthy. The resort is well maintained with access to the beach. Overall exceptional rooms, ambience, private beach. Need to improve On from desk service at reception. Too expensive for the offering. No fridge in the room where it is generally warm. Beach front not maintained. Couldn't enjoy the beach, very Stoney and unclean. No recreational amenities. Breakfast didn't have much variety. The utensils were unclean. Restaurant overpriced, no value for money. Staff was courteous though. Property not bad at all. The experience could have been much better. Doesn't match up with the price. Pros: the beach is really nice and peaceful during high tide, our room was very big, the staff were really friendly and helpful. Location is nice as well--about 150 ft from the beach (rooms don't have beach view), and a quick auto ride to other restaurants and the ferry. Con: the food is mediocre. Breakfast was particularly bad, there were long wait times, and dishes and utensils were sometimes not fully clean. Wouldn't expect to be served instant coffee at a hotel that charges so much. Even before landing in Havelock I contacted Ravi who confirmed that he will arrange for the tickets to Neil Island and from Neil to Port Blair. For three days while I was there Ravi and Suresh took me for a ride and eventually I had to cancel my trip to Neil even though I had confirmed Hotel Booking. One day before my checkout I had confirmed ticket for Bhagya Express for Neil, but they convinced me not to buy it with the promise that they will get the tickets in another ship not only to Neil but for Neil to Port Blair as well. Obviously it was another lie. Very Very disappointing. If they cannot book tickets then they should have been upfront about it instead of constantly lying. We paid to get the best room at the resort, thinking it would open onto the beach as advertised on the photos. But it was more than 400 metres away from the beach, with the path very dimly lit at night. Very misleading photos. Apart from this, everything else was good, especially the staff and the service. Must try the food here at the restaurant. Delicious food ! the rooms are clean and comfortable and location next to the beach. Fantastic location , excellent ground staff , quality of room was good except for a creaky bed . Be very clear about whether their quotes for activities are on a group or per person basis to avoid unpleasant situations. Very good place. Room was just perfected. Garden was very beautiful. White sand beach with lots of shade if needed, was very pleasant, sometimes with plastics but cleaned everyday. Water is not as clear as other beaches (7 or elephant). No water during low tide. Only problem is average quality of restaurant. And you have to take tuk-tuk to go to other restaurants (it is far from main places). Manager was nice and has upgraded us in bigger rooms. I stayed 3 nights in Munjoh and loved every minute. As a not-so-young female solo traveler I always felt safe and comfortable in a resort that included families, newlyweds and couples. Every day I did a different activity, including a bike tour along a fabulous beach and inland roads, snorkeling and kayaking. I toured the island by bike and by tuk-tuk, all arranged by the hotel, and had a ton of fun. Their beach is lovely as are many of the near by beaches. I will go back --as soon as I can---I have a couple of more things I have to do as I ran out of time on this visit, including definitely wanting to do more scuba diving with an amazing divemaster (best on the island) and do an overland hike into Elephant beach (with an amazing activities director). Looking forward to it. Very nice and relaxing holiday in one of the best resorts on Havlock. Loved their private beach. This hotel is nice a sort of haven in Havelock. It's pretty isolated and can be difficult to find rides into town. If you don't drive a motorbike. I don't actually recommend going to Havelcok though tourism is sort of just developing there and it's honestly a mess. Maybe it was because we went in November but most of the time someone would tell us about a really fun activity we could do and then it would turn out to be cancelled or unavailable. The staff is good depending on who you talk to they have some awesome staff then some staff who will tell you something completely different. Like we were told we could rent motorbikes by one staff member and then that we couldn't by another. This happened multiple times with multiple different staff members. Ask the female staff is really my advice they are the most professional. Havelock not being very set up is not Munjoh's fault and they really do try to make your stay nice. Also don't take the government ferry its bad. The staff are so helpful and give you a very warm welcome, where they do every thing to ensure your stay is very enjoyable. We stayed in the luxury villa which had a very large bed with a deep mattress and lovely fresh linen and the room was kept very clean. We had all our clothes laundered which was an excellent service. Breakfast they cooked eggs to order and a large array of different foods, and the service was very courteous as were the reception staff who went out of their way, to ensure we had a memorable holiday. The management must be complimented on running a very efficient hotel with happy staff, in a paradise location. We loved our ten day stay. I stayed here with my family in the month of March. Friendly staff.. you have to literally sit and wait for the breakfast to get ready!! for the price they charge spread on the breakfast is not too great.. the resort has a private beach and provides a calm ambience for the people to relax... scuba and snorkelling offered by Doongi dives are exceptional.. we took a full day package covering scuba and snorkelling and the guides made our day ! We, a family of 2+2, thoroughly enjoyed our 3N stay at munjoh. Staff ably led by Ravi were at our service with a smile. Room is quite large. Resort has a private beach which would be much better than other beaches. Only stayed one night en route to Barefoot. Very pleasant. Good food. Small issue.....over an hour to get a couple of cans of coke! The bar manager had gone off with the key! Otherwise if you want to stay on the busier side of Havelock, it's seemed a good option.